Jan Dales has let us know of Mike Compton’s scheduled appearance on Southern Style on Tuesday, 19th March, between 1:00pm and 3:00pm. Mike will be performing live to air and chatting with Jan on PBS FM 106.7 and www.pbsfm.org.au. Grammy award-winning mandolin master Mike Compton, and prizewinning guitarist and songwriter Joe Newberry, have released a live album of 12 traditional, old-time, and bluegrass ballads and instrumental pieces. Tracks on the album include East Tennessee Blues, Righteous Pathway, Sittin’ On Top of the World, Lazy John, Rocky Road Blues, How Long Blues, Evening Prayer Blues, Kentucky Waltz, Rocky Island, I know Whose Tears, Raleigh and Spencer, and Fly Around My Pretty Lil’ Miss. This cd was recorded live at Brandywine Friends in Newark, Delaware, in February, 2012, using one microphone. 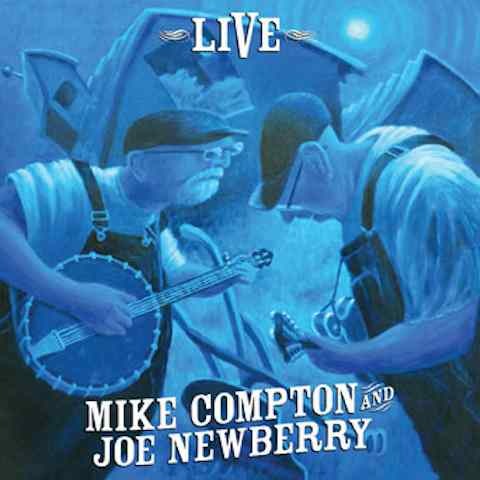 In their 2012 debut album, “Live”, Mike Compton and Joe Newberry mine one of the more neglected segments of country music history, that period during the ’30s and ’40’s when brother duet music was transforming into bluegrass. These two masters of the bedrock of old time music collaborate with a vision that’s both modern and ageless. Few are better equipped for the task with Newberry able to replicate the under-appreciated power of country rhythm guitar styles and open back banjo, and then mix in Compton’s master of the Monroe style of mandolin with their simpatico duet singing, and you have a two person string band that can effortlessly move from traditional songs to contemporary instrumentals, to ‘mother’ ballads, to original compositions—all with an ease that belies their intensity. It’s not about the number of notes with Compton and Newberry. it’s about telling the truth and paying homage to the song. Joe Newberry is one of my favorite songwriters and interpreters of the old songs. Mike Compton’s playing is part of my musical DNA. 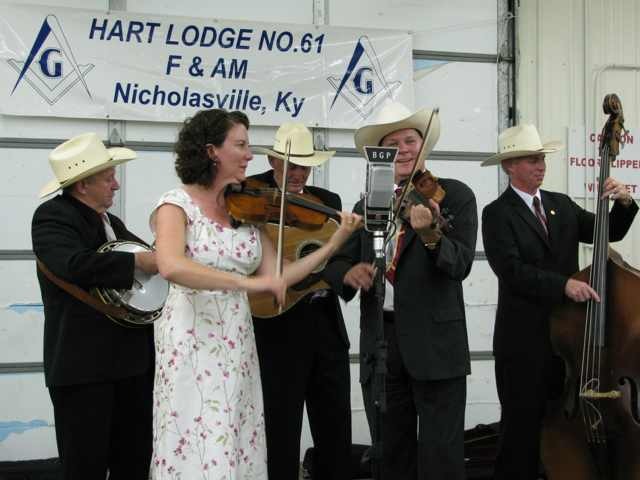 My earliest infatuation was with The Nashville Bluegrass Band and his mandolin rang out in my head as I tried to figure out how to make music with other pickers. When I learned two of my favorites had formed a duo I was very excited, but still not prepared for how good it would be. Mike Compton and Joe Newberry make music together. Lots of people play together, but few are able to make music. With only two voices and two instruments they can break your heart with one song and make you want to shout with joy on the next. Newly written songs sound ancient and their choice of covers seem somehow new. Their LIVE 2012 album is a must for lovers of real music. – Leigh Gibson, The Gibson Brothers. CD’s may be purchased by visiting www.mikecompton.net or cdbaby.com/cd/mikecomptonjoenewberry. World renowned master of the Mandolin, Mike Compton, will be performing at the Yinnar Pub on Wednesday 20th March. 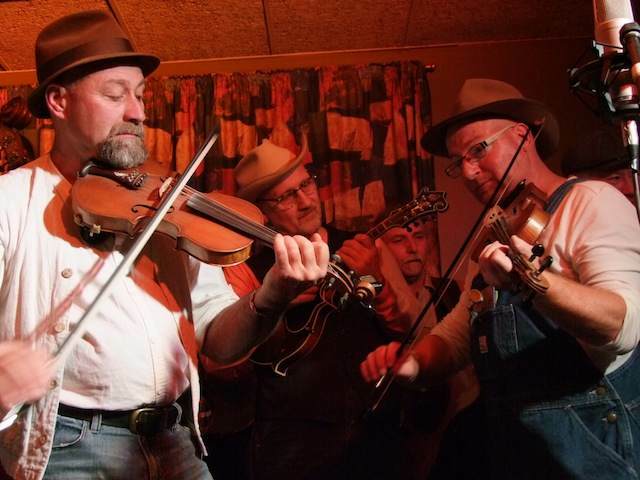 Mike will be joined by the Strzelecki Stringbusters for another great night of bluegrass and old timey music. Mike is best known for his performance in the movie and soundtrack of “Oh Brother, Where Art Thou?”, the hit movie featuring George Clooney. Mike is returning to Australia from the USA after only being here in November last year, and refers to Australia as his “second home”. 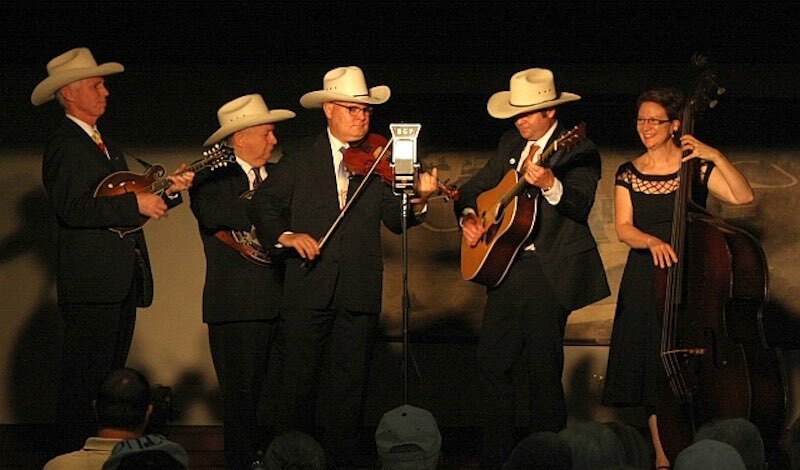 His performance in Yinnar will be just prior to headlining for three weeks on the Bluegrass Music Cruise of New Zealand and Southern Australia, on the luxury ocean liner, the Voyager of the Seas. 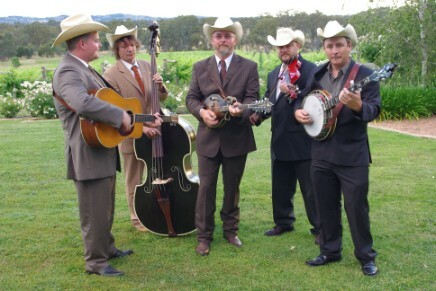 In a fabulous double event, the Baylor Brothers will also be performing at Yinnar that night. His first ever Sydney concert should not be missed. Mike C0mpton will be appearing at the Sydney venue Cat and The Fiddle, tomorrow night Fri 9th Nov, 2012 at 8:00pm. Also appearing on the bill will be Sydney band, The StopmpKats. Cat and The Fiddle Hotel is at 456 Darling St Balmain (cnr Elliott St). Ph. 9810 7931. All tickets at the door – $25/$20 concessions. 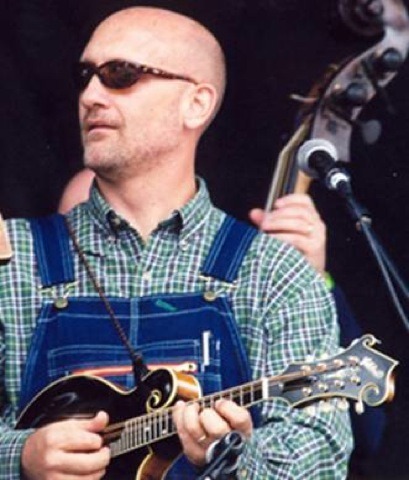 Mike Compton is a four times Grammy Award winning American bluegrass mandolin player, and a former protégé of the Father of Bluegrass, Bill Monroe. 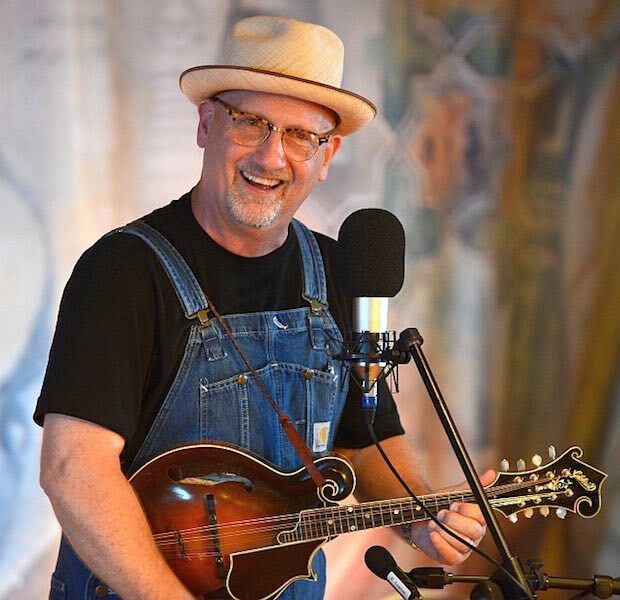 He is considered a modern master of bluegrass mandolin, and is especially known for his take on the fiercely hard-driven, rhythmically intense style developed by the master of the genre, Bill Monroe. He played on the soundtracks of the movies “Oh Brother Where Art Thou?” and “Cold Mountain”, and has been a long-standing member of the legendary Nashville Bluegrass Band. 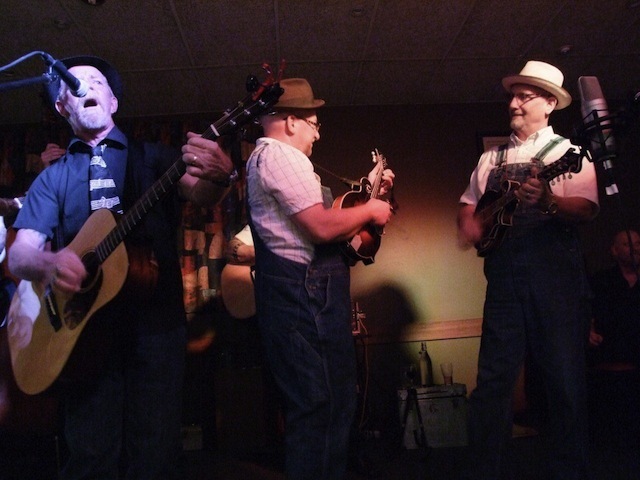 He was also a member of John Hartford’s band till John’s death in 2001. He was also part of the “Down From The Mountain” project, which involved a Grammy winning album and follow-up sellout tours, where he was playing with Alison Krauss, Jerry Douglas, Emmylou Harris, Gillian Welch & David Rawlings, Dr Ralph Stanley, Rodney Crowell, etc. Mandolin player, Mike Compton has earned a worldwide ￼reputation as one of the modern masters of bluegrass mandolin, and is especially known for his personal take on the fiercely hard-driven, rhythmically intense style developed by the master of the genre, Bill Monroe. Grammy award winner, nominated IBMA Mandolin Player of the Year, and musical US Ambassador throughout the world, Mike has been honoured with a State Resolution by the Mississippi State Senate, entertained at Carnegie Hall, and performed at the White House for dignitaries and the President of the United States. 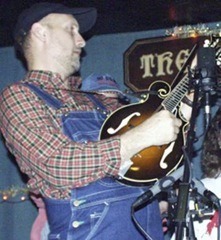 A mainstay on the bluegrass circuit for the past 35 years, Mike has over 110 albums to his credit including the latest collaborations of Lost Souls and Free Spirits – Chris Jones and The Night Drivers (2012); Reason and Rhyme – Jim Lauderdale (2011); Blue Moon of Kentucky: Instrumental Tribute To Bill Monroe (2011); Memories of John – The John Hartford String Band (2010); National Ransom – Elvis Costello (2010) and his solo CD project Rotten Taters (2011). Mike will be back again in February, 2013 for a 3 week bluegrass cruise, and he is booked for the Brunswick Festival with other festival and venue booking still in progress. Mike Compton’s itinerary is set out below. Price is $75 for the workshop only or $85 for the workshop plus a concert ticket for his show Friday 26th October. Bookings at the door for either event or preferably online through our website at www.redlandscountry.asn.au.